First thing first, what is TensorFrames? TensorFrames is an open source created by Apache Spark contributers. It's functions and parameters are neamed the same as in the TensorFlow framework. Under the hood it is an Apache Spark DSL (domain-specific language) wrapper for Apache Spark DataFrames. It allow us to manipulate the DataFrames with TensorFlow functionality. And no, it is not pandas DataFrame, it is based on Apache Spark DataFrame. ..but wait, what is TensorFlow (TF)? TensorFlow is an open-source software library for dataflow and differentiable programming across a range of tasks. It is a symbolic math library and is also used for machine learning applications such as neural networks. Apache Spark is an open-source distributed general-purpose cluster-computing framework. Today when we mention scale, we usually talk about two options; scale horizontally, and scaling vertically. Vertical scale - adding more resources to machine/s we are currently working with. It can be a processor upgraded from a CPU to GPU, more memory (RAM), and etc. With TensorFrames, we can do both, more processor computing power, and more machines. 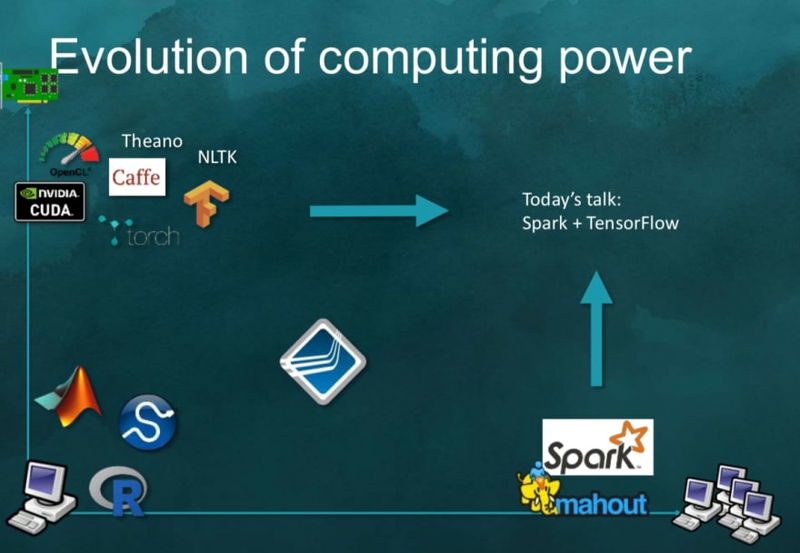 Where with only TensorFlow we would usually focus on adding more power through scaling vertically, now with Apache Spark support, we can scale both vertically and horizontally. But, how do we know how much of each we actually need? To answer this question, we need to understand the full usage of our applications and plan accordingly. For each change, like adding a machine or upgrading from CPU to GPU, we have downtime. In the cloud, resizing a cluster or adding more compute power, is a matter of minutes, versus on-prem where we need to deal with adding new machines and upgrading machines processors, this can take days, and sometimes months. So, A more flexible solution is the public cloud. In the picture below, scale horizontally is the X-axis where scale vertically is the Y-axis. A statically typed multi-dimensional array whose elements are of a generic type. Graph or Computional Graph is the core concept of TensorFlow to present computation. When we use TensorFlow, we first create our own Computation Graph and pass the Graph to TensorFlow. GraphDf is the serialized version of Graph. A Graph node that performs computation on Tensors. An Operation is a node in a Graph that takes zero or more Tensors (produced by other Operations in the Graph) as input and produces zero or more Tensors as output. tf.identity is used when we want to explicitly transport tensor between devices (like, from GPU to a CPU). The operation adds nodes to the graph, which makes a copy when the devices of the input and the output are different. value: A constant value (or list) of output type dtype. verify_shape: Boolean that enables verification of a shape of values. This is a distributed collection of data organized into named columns that provide operations to filter, group, or compute aggregates. Dataframe data is often distributed across multiple machines. It can be in memory data or on disk. A set of methods for aggregations on a DataFrame, created by groupBy, cube or rollup. The main method is the agg function, which has multiple variants. This class also contains some first-order statistics such as mean, sum for convenience. Now that we understand the terminology better, let’s look at the functionality. Mapping operations transform and/or adds columns to a given dataframe. Each functionality is accessed through two API, one which receives Operation and the other which receives DataFrame, GraphDef, and ShapeDescription. mapRows receives two parameters, operation, and operation* which means the second operation can be a collection of operations. Later it turns them into a sequence and translates it into a graph, it creates the ShapeDiscription out of the graph and sends it with the DataFrame to an internal function. Where it transforms the distributed data row by row according to the transformations given in the graph. All input in the graph should be filled with some data from the given DataFrame or constants. Meaning, we can’t use null. At the end the function returns a new DataFrame with the new schema, the schema will contain the original schema plus new columns that correspond to the graph output. ShapeDiscription provides the shape of the output, it is used, behain the sceans, for optimization and going around limitations of the kernel. Performs a similar task as MapRows, however, since it is optimized for compact, it applies the graph transformers in blocks of data and not row by row. Code example: We create val df, which is of type DataFrame, with two rows, one contains value 1.0 and the second data row contain value 2.0. The column name is x.
val x is a declaration of the placeholder for the output, y is the identity for transporting tensors from CPU to GPU or from machine to machine, it received val x as it's value. z is the computation function itself. Here, df.MapBlock functions gets two operations, y and z, and retunes a new DataFrame named df2 with extra column z. Column z is the sum of x+x. In the output, column x is the original value, column y is the identity value and column z is the output of the graph. This is the same as MapBlock , BUT, it drops the original DataFrame columns from the result DataFrame. Meaning the output DataFrame will contain only the calculated columns. Code example: we create a DataFrame named df with two rows with values 3.0 and 4.0 . Notice that we create a constant named out with value 1.0 and 2.0,this constant is the TensorFrame dsl functionality that mimics the TensorFlow functionality. Then we call df.MapBlocksTrimmed. The output schema will only contain the result column, which is named “out” and in our case will only hold the constant values which are 1.0 and 2.0 . 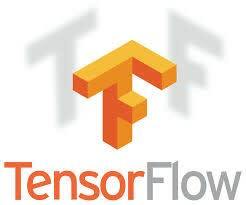 Important Note in the first line of code we import TesnorFrames dsl and we name it to tf, which stands for TensorFlow, we do it since this is how TesnorFlow users used to work with it and we are adhering to the best practices of TensorFlow. Reduction operations coalesce a pair or a collection of rows and transform them into a single row, it repeats the same operation until there is one row left. Under the hood, TensorFrames minimizes the data transfer between computers by reducing all the rows on each computer first and then sending the remainder over the network to perform the last reductions. The reduce functionality API, same as the rest, we have 2 API for each functionality, the one which receives Operation is more intuitive, however, in TensorFlow there is no direct reduce rows operation, instead, there are many reduce operations like tf.math.reduce_sum and tf.reduce_sum . This functionality uses TensorFlow operations to merge two rows together until there is one row left. It receive the datafram, graph and a ShapeDescription. In the next code example. We create a DataFrame with a column named in and two rows. x1 and x2 placeholder for dtype and x- which is an add operation of x1 and x2. reduceRows, return a Row with value 3 which is the sum of 1.0 and 2.0. Works the same as ReduceRows , BUT, it does it on a vector of rows and not row by row. Code example: Here we create a DataFrame with two columns — key2 and x. One placeholder names x1, one reduce_sum TensorFlow operation named x. The reduce functionality return the sum of the rows in the DataFrame according to the desired columns that the reduce_sum named after which is x. Aggregate receives a RelationalGroupedDataset which is an Apache Spark object, it wraps DataFrame and adds aggregation functionality, a sequence of expressions and a group type. The aggregate function receives the graph and ShareDescriptiom. It aggregates rows together using reducing transformation on grouped data. This is useful when data is already grouped by key. At the moment, only numerical data is supported. Code example: In the example, we have a DataFrame with two columns, key, and x. x1 as a placeholder and x as the reduce_sum functionality named x. Using groupby functionality we group the rows by key, and after it, we call aggregate with the operations. We can see in the output that the aggregated was calculated according to the key, for the key with value 1- we received 2.1 as the value for column x and for the key with value 2 we received 2.0 as the value for column x. In all TensorFrames functionality, the DataFrame is sent together with the computations graph. The DataFrame represents the distributed data, meaning in every machine there is a chunck of the data that will go through the graph operations/ transformations.This will happen in every machine with the relevant data. Tungsten binary format is the actual binary in-memory data that goes through the transformation, first to Apache Spark Java object and from there it is sent to TensorFlow Jave API for graph calculations. 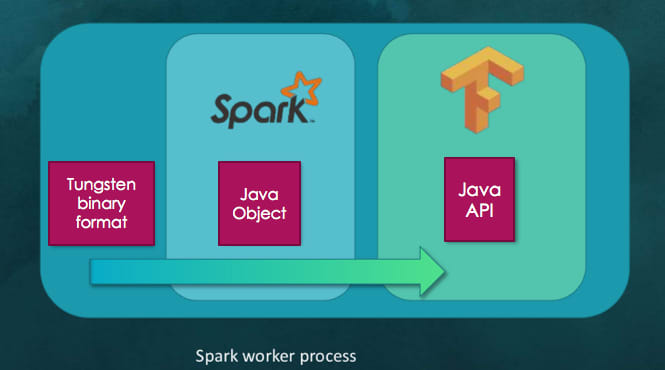 This all happens in the Spark Worker process, the Spark worker process can spin many tasks which mean various calculation at the same time over the in-memory data. DataFrames with scala is currently an experimental version. The Scala DSL only features a subset of TensorFlow transforms. TensorFrames is open source and can be supported here. 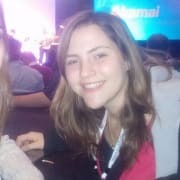 Interested in working with Keras? 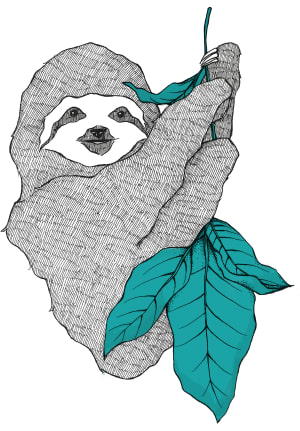 check out Elephas: Distributed Deep Learning with Keras & Spark. interested in TensorFrames project on the public cloud? check this and this. Follow me on Twitter, happy to take your suggestions on topics. Now that you are an expert on TensorFrames, how will you take it forward? 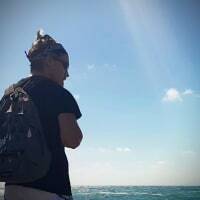 An Israeli Software Developer who would like to learn more! Doesn't tensorflow also have the tf.distribute module for horizontal scaling though? What advantages does TensorFrames have in comparison with tf.distribute?? Hi Gavin, thank you for your comment. it this the one you mean - databricks.com/tensorflow/distribu... ? from their docs it seems like the graph computation itself is being distributed, meaning that each machine calculates only part of the graph. Where in TensorFrame, every relevant row in the distributed data is going through the transformation graph. and what is distributed is the data itself. The graph itself is not distributed and sent as one piece to Apache Spark workers , each Apache Spark worker receives a chunk of the data to work on and return an output, which is later translated back into Spark DataFrame. 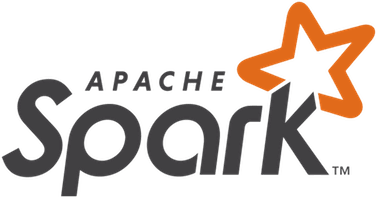 The Apache Spark advantage is that as long as the data fits in memory, it will do all the calculations in memory without writing to the disk which is due to disk limitations, expensive in time. In tf.distribute doc they give the example of ensemble learning where they send individual machine learning models to multiple workers. They are not working on distributed data, it is more of distributed tasks! which make it very interesting. Does it sound right? Yeah that makes sense. At first I thought tf.distribute.MirroredStrategy works with clusters on separate machines as well, but it looks like that's only for devices on the same machine, and that we only have parallel execution of sections of graphs. That being said, you would think that they'd make data level parallelism with tf.keras easier wouldn't you? It seems like at the moment that tf.keras is an implementation of the Keras API on TensorFlow. but wait! we can develop in Keras without TensorFlow. Keras is in an individual library for deep learning. There is an interesting project of Keras on top of Apache Spark, named - Elephas: Distributed Deep Learning with Keras & Spark. As a whole, from discussions and online forums, many Data scientists say that Keras is better for Deep learning since TensorFlow can be a bit complicated to start with. Yeah I know keras is an independent library as well, and yeah it is simpler, but I started machine learning with the low level tensorflow API and only then learnt keras. I do use just keras where I can though. Currently I'm working on a project that requires the sort of fine control over the training process that only tensorflow can give me, although I haven't tried theano or the rest yet, and it would be infeasible to move to another library with the time constraints we have. yeah, project and time constraints are super important. How do you find TensorFlow? From your perspective, how can one become proficient in it? I like tensorflow and all, but I can't say its without its flaws. It feels like parts of the library are duplicated elsewhere within, and some sections lack succint documentation. I was working with TFRecord a few weeks ago, and the long and short of it is there were two different ways of writing a TFRecord, and both gave you different output files, which were both valid TFRecords. Plus TFRecords aren't simple feature-label <rant> ... </rant>. Jeez, I stuck to pandas after that. I think tensorflow is going in the right direction though. They're working to bring keras and estimators closer together with tf 2.0, and in all fairness to them, some of the bumpy edges that I encountered were sections still in development. Now my perspective is probably not representative of the wider community here on dev.to. For one thing, I don't do JS/WebDev, and stick to C/C++ and python(3), dabbling in Dart and Clojure a bit. For another, my aim isn't to be a data scientist / coder, and I am by no means proficient in tensorflow. With that said, I feel like the best way to get better with tf is to use it more, whether that be in personal projects, or contributing to someone elses. If you really want to push yourself, and have the time to spare, you could try reimplementing bits of tensorflow, say for example the Convolutional layer, or tanh activation, or maybe even an optimizer. When you're done you can compare it with what the tensorflow source code does as a benchmark.